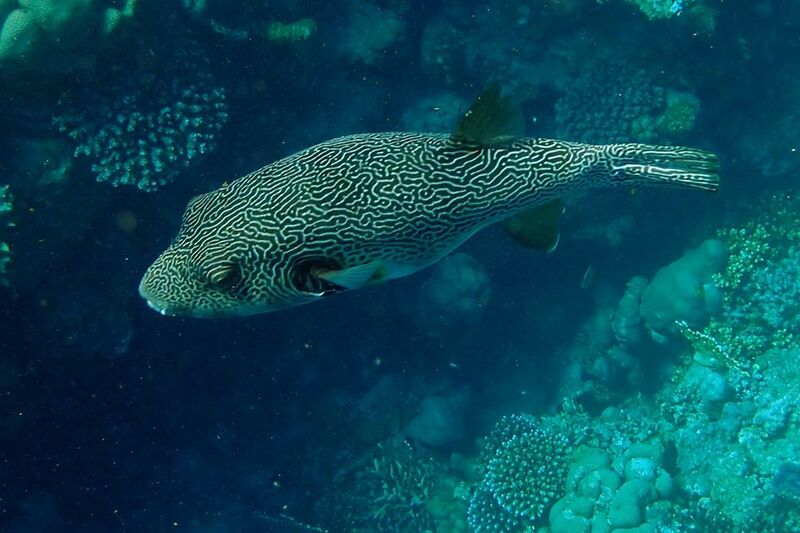 One of the most rarely seen pufferfishes in the Indo-Pacific, the recently described Arothron multilineatus, has just been documented swimming about in the shallow reefs of the Red Sea. This marks one of just a handful of confirmed sightings for this enigmatic creature and reignites the lingering question of why such a large and distinctive pufferfish has proven to be so elusive. 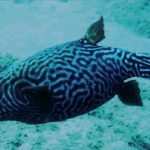 The photographs seen here come courtesy of Jürg and Lucia Rothenbühler, who spotted this spectacularly patterned fish at the Mövenpick Resort El Quseir along the Central Egyptian coastline of the Red Sea. 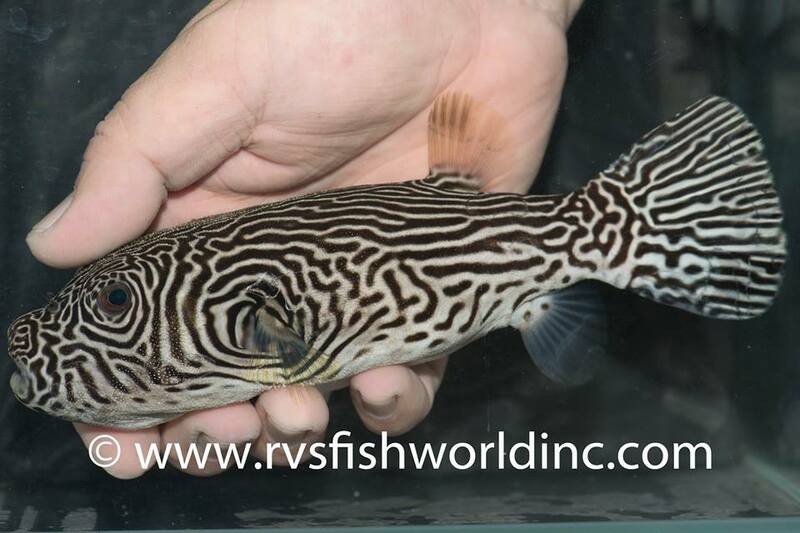 The habitat is a shallow (1-2 meter) reef flat, which had several specimens of the Starry Pufferfish (A. stellatus) and White-spotted Pufferfish (A. cf hispidus) swimming about. In my earlier discussion of this species, I pointed out the obvious incongruity of there being such a large and easily identifiable species which could have gone unnoticed for so long. 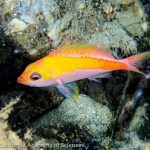 As can be seen from these photos, this fish does not occur in some far-flung corner of the world, nor is it restricted to some unusual habitat which divers, researchers and fishermen fail to visit. 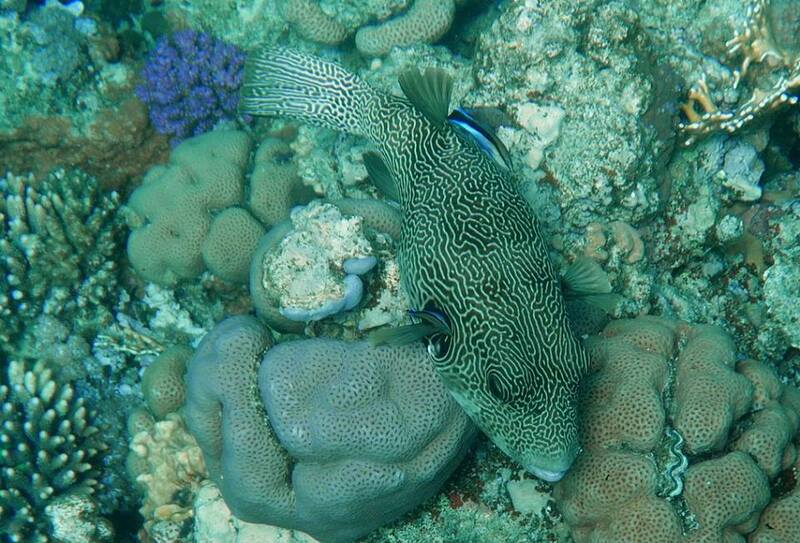 Rather, the Multilined Pufferfish occurs in the shallow waters of a popular Red Sea resort. 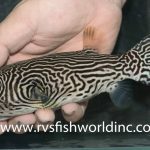 It’s also been recently found by aquarium collectors in the Philippines, and the species was initially described from specimens collected in Japan. 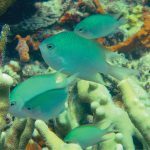 Together, these are some of the best studied coral reefs in the world… so why have so few been seen? The answer to me seems quite obvious. The multilineatus phenotype is really nothing more than a hybrid formed by two of the most widespread and common members of this genus: A. stellatus and A. hispidus. 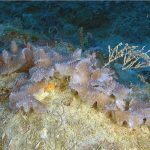 And, as already mentioned, these two were seen to be common inhabitants of the very same reef where this specimen was discovered. In fact, these are the only two possible parent species in the Red Sea (excluding the very different looking A. dimidiatus). It’s actually surprisingly common for hybrids to accidentally wind up described as unique species, with the taxonomic record filled with examples. Another possible instance of this phenomenon might be seen with a new fish which I reported on just yesterday, Acanthurus albimento. It’s quite likely that other “rare” species may also eventually be determined to be nothing more than unusual hybrids (looking at you, Genicanthus takeuchii and Apolemichthys guezei), but, without genetic study, it is difficult to confirm these sorts of hybridization hypotheses. Ultimately, it’s far easier for a scientist to simply attach a new name to an aberrant specimen than it is to prove what that specimen actually is in an evolutionary context.